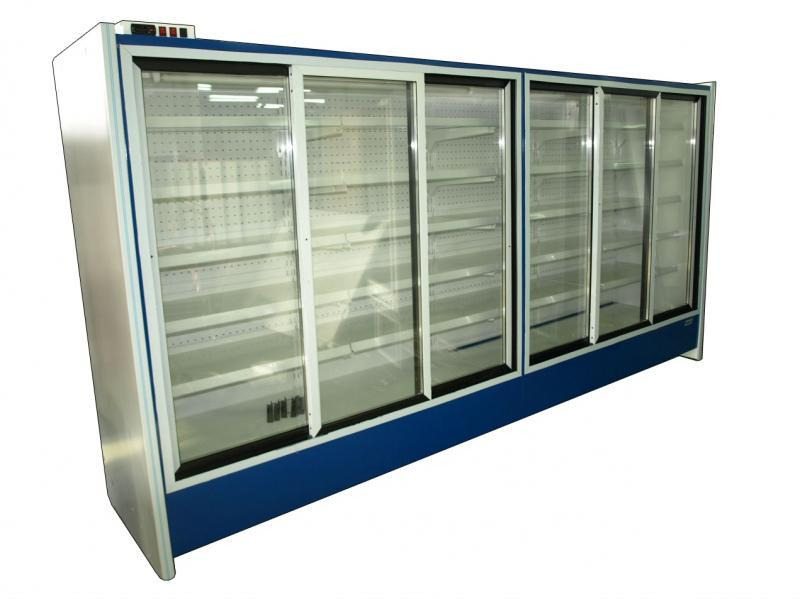 Refrigerated shelf prepared for external unit, with expansion valve, dynamic cooling, sliding glass door, lighting, adjustable levellng legs and 4 metal adjusted shelves with price tags. The basis of the shelf is grey, as option it is available with other colours. The price not include the sides and the aggregate. The picture is illustration, the color of the basis is grey.